Editor says: Shine is a very exciting album to come from a Western major record label. 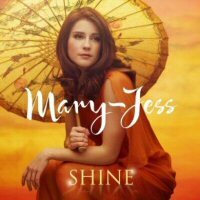 After winning the Chinese equivalent of the X-Factor to an audience of 70 million people, Mary-Jess has been able to create an album inspired by both Western and Eastern cultures. Significantly, she also has writing credits - almost unheard of for a new artist in this genre. The album is strong from start to finish, exuding warmth and genuine feeling and is simply a rich source of terrific original songs. This is a very special album. 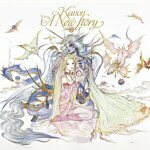 It's Kanon's first album to be available to the West. A New Story is a partnership between Kanon and the Japanese game composer Nobuo Uematsu (a household name in Japan). Many of the songs are adaptations of well known themes from the Final Fantasy series and other Squaresoft games (hence the album artwork). A unique combination between a classical crossover artist and the rich textures and melodies of modern gaming composition, A New Story really is a one off listening experience. Beautiful Things is Mario Frangoulis's much anticipated third international classical crossover album. It features Vanessa Williams and Vittorio Grigolo and boasts of the genre's best songwriters in Mark Masri and Stephan Moccio, among others. Beautiful Things is a positive album with feel-good messages. It has excellent production, rich arrangements, an original track list and a heartfelt performance from Frangoulis throughout. Although there are many Kiwi artists in classical crossover, none have truly released a taste of New Zealand. Home is positively bursting with Kiwi flavour featuring traditional Maori songs and converting standards into the Maori language. Aptly named Home, Marvelly has created a consistent and confident album demonstrating a strong sense of identity and purpose. She shows great bravery in recording the faster paced and less "classical" 'Tarakihi' and 'E Papa'. Bravo! This album has been a huge mainstream success this year, and with good reason. There are a few standards to make the more traditional listeners comfortable but ultimately this album provides fresh material and adaptations. These lads have charisma dripping out of your speakers from the moment you play the first track and they're still in full flow when the last one fades out. Thank God for the repeat button. Impermanent Life is the only independent album to be nominated and it more than matches its major counterparts. This is a culturally rich album both musically and lyrically. 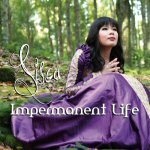 Partly written by Sisca, she concentrates on philosophy, environmentalism and morality without coming across preachy. 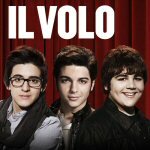 It's simply an optimistic album. The positivity is infectious and the music is highly distinctive. Sisca's beautifully toned mezzo-soprano carries this through effortlessly. This is a ground-breaking album to put it mildly. Westenra was handpicked by legendary film composer Ennio Morricone, to work on an album of vocal adaptations of his most loved (and more obscure) compositions. 'Gabriel's Oboe', 'Cinema Paradiso', 'La Califfa' and 'I Knew I Loved You' get their necessary nods but are given new twists, and it's a wonderful showcase of some forgotten Morricone gems. Westenra also claims writing credits throughout most of the album.